Season the pigeon and pan-fry in a little oil and butter for a few minutes until cooked through but still a bit pink in the middle. Add the pancetta and spinach to the pan and cook in the juices. Meanwhile, boil the chopped celeriac until soft, then purée in a blender with plenty of seasoning. For the redcurrant sauce, reduce the redcurrants in a pan with some spices and a little sugar until you have a thick sauce consistency. 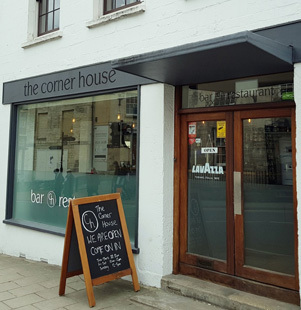 The Corner House is owned and run by Antonio and is open for coffee, lunch and dinner. Head chef, Bogdan, makes everything from scratch using fresh, seasonal ingredients that are sourced locally. 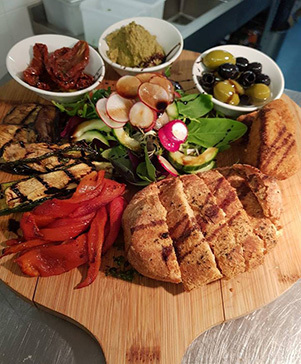 At lunchtime, enjoy a sharing platter or salad with a free glass of prosecco or wine and for dinner, start the evening with a cocktail a two from the well-stocked bar which contains many local spirits. 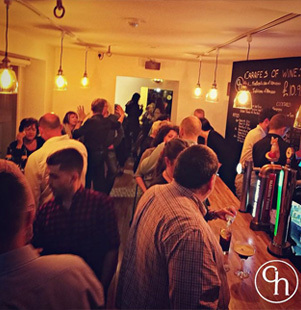 Check out the Saturday brunch and Sunday lunches too. Bath Road, Stroud, GL5 3TJ.